Little Jingle Beans can make your child’s dream come true by having their favorite Princess Troll be a part of their party. 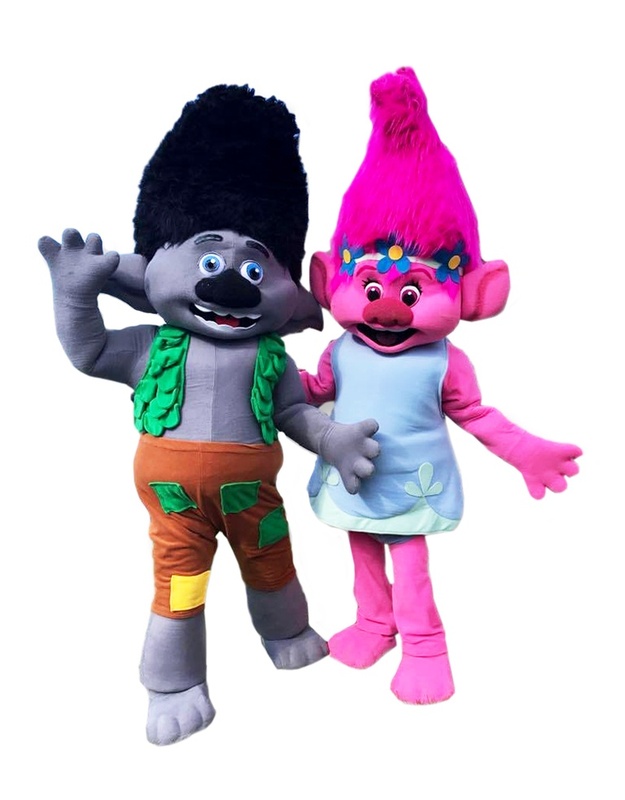 From Toronto to Burlington, our range of mascot party packages allows you to mix and match and get exactly what you want for your perfect Princess Troll party. After a long journey from Troll Village, our cute and lovable mascots accompanied by their Peppy Party Host will promptly arrive just in time for "HUG TIME", ready to meet and greet the birthday girl or boy on their BIG day! Together they will sing a few of their favorite songs, dance some of their favorite dances and lead the little party goers through engaging and interactive activities. Party games include: Dancing with ribbons, Escape from Troll Village (a tunnel freeze game), dress up "True Colour" dance, Magical flower wishes, Poppy says, follow the leader and a jewel hunt. But that’s not all…Our One Hour Party Packages include Troll themed face paint stencils while your big new friend for photos with the little party goers!!! The Colourful Finale...with the help of her party host, Princess Poppy will award the birthday child an Official Troll certificate and pose for photos. Don't forget to have your cameras ready! *This party is best suited for up to 12 children but there is no limit! Contact us today to discuss your mascot party needs in Toronto, ON. We provide our princess birthday parties and corporate entertainment services across Toronto, The GTA (Greater Toronto Area), Vaughan, Brampton, Burlington, Mississauga, Oakville, Thornhill, Richmond Hill, Milton, Ajax, Pickering and beyond.